Backlinks are vital to Google’s algorithm (as well as other search engines) to improve your ranking. High-quality links are a great way to boost your website further up the rankings so that you rank higher in search engine results. By purchasing this hourlie, I will manually build high-quality links that search engines love. 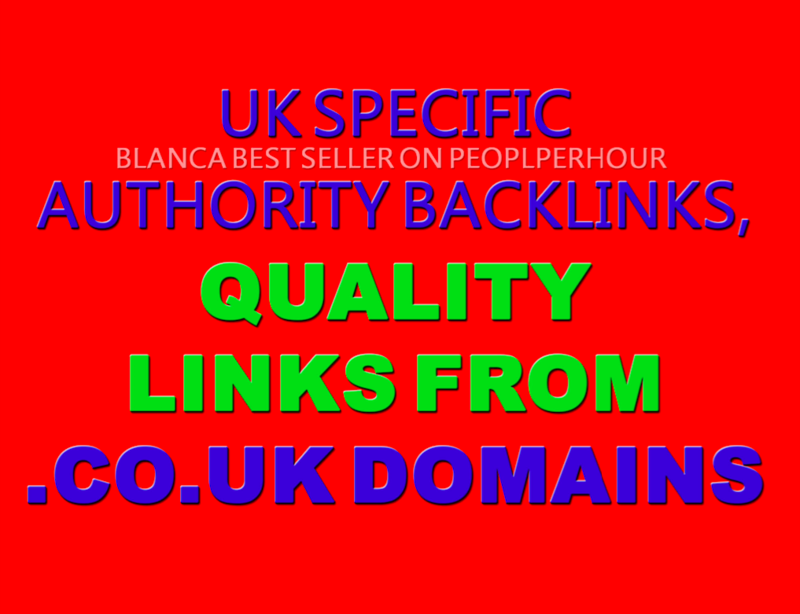 These quality backlinks help to improve your SEO and can help you to achieve your desired search engine position. To further improve your SEO, these links will be a mix of no and do follow, anchored, and non- anchored links. It is this crafted blend that will appear natural to search engines and will not look like spam. This natural appearance is exactly what search engines are looking for when ranking websites. 50 UK specific business directory listings which can work wonders for promoting your brand recognition, visibility, authority and search engine rankings. A full SEO site audit and action plan – a must-have for any business who wants to boost their SEO with a unique, tailored program to suit your needs.